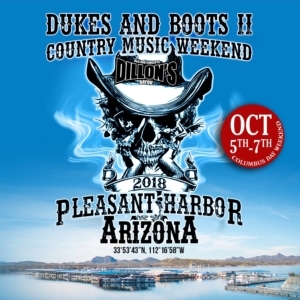 Get your Daisy Dukes and BOOTS out for our 2nd Country Music Weekend at Pleasant Harbor Marina at Dillon’s Bayou! It was such a HUGE success we decided we will have TWO Country Music Weekends a year! It will be a weekend full of music, awesome BBQ, drinks and of course good ole’ country girls! We’ll have Country dancing lessons for FREE, drink promos and EPIC Country Bands! To get into Dillon’s KC BBQ Restaurant and to watch the bands is FREE.